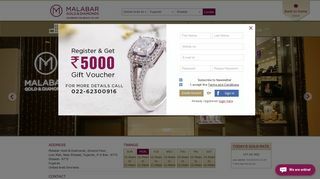 In the field of gold and diamond jewellery, Malabar Gold And Diamonds has no parallel. They have multiple store rooms in Fujairah where you can find gorgeous gem and jewellery sets to enhance your appearance and enrich your personal collection. You can also find their outlet at Lulu Mall where you can check out their endless array of products.